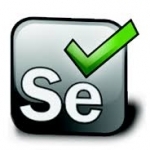 Selenium has become the standard tool for automated web testing, so much so that it is a W3C standard candidate . It is open-source and provides a powerful set of tools for testing your web site on any platform and with just about any web browser, including remote execution. We provide training on both WebDriver Java and C# .NET We also offer follow-on courses on using BDD (Cucumber & SepcFlow) with WebDriver. Below you will find the upcoming schedule of training for these tools, together with a description of each course. If you have any questions at all about the courses, or the tools, please feel free to call us. This comprehensive course covers all the essential principles of using Selenium WebDriver 3. Designed for beginners as well as testers with previous automation experience, it takes the newcomer to Selenium through all the basic techniques of writing effective automated web tests. The course focuses on WebDriver (Java bindings), Eclipse and JUnit. Throughout the course practical examples are demonstrated and the delegates get to practice what they have learned in each chapter against a Web training application. The course is online using GoToTraining, it is ‘live’ training with an instructor, and you will be sent a comprehensive workbook for the course. The course is over 4 Sessions. Each Session is approximately 3 hours. The course is over 3 Sessions. Each Session is approximately 3 hours.